I almost never cry when reading a book. When I say almost never, I really mean it. There are only four or five books that come to mind when I try to think about what I've read that has accomplished this impossible task. The scenes in books that have brought me to tears are often the quiet ones, the understated moments that somehow remind me of my own life or my own experiences. It's not often that an actual "tearjerker" book will make me cry… It's not that I don't have a heart or even that I don't get invested in the books that I read. But, for the most part, my brain never forget that's I'm reading. I'm not the most emotional reader. It's something that I talked about with Kelly recently while we were reading The Bronze Horseman trilogy together. They're such emotional books, and I definitely had some of the moments described above. But overall, Kelly and I read them very differently. She was fully invested in the books and was experiencing this huge range of emotion the entire time we read. Even after we closed the book, she was still feeling it all. And I loved it! It was one of my favorite things about reading the books with her. I didn't have the same level of emotional investment. I think I felt the books in a way I wouldn't have if I'd read them on my own, but I still didn't react to everything the way that she did. Emotional Readers are the ones who lose themselves in the story. They can still think critically about what they're reading, but they're ultimately fully invested in what they're reading. They become emotionally attached and incredibly invested in everything that's happening in the book. When they talk about books, their first instinct is to talk about how they felt while reading or after they'd finished. Analytical Readers are the ones whose brains (and hearts) never forget that they're reading. As invested as they are in a book, their emotions aren't fully engaged because they know what's happening isn't real. They may be more distanced from what they're reading - a reserve keeping them from having a reading experience that's highly emotional. When they talk about books, their first instinct is to talk about what they thought while reading or after they'd finished. but I feel like many bloggers identify more with the emotional side. Obviously, that's a generalization. Readers who blog can find themselves anywhere on the scale - and can shift up or down at any time. But I have started to wonder where bloggers see themselves on the spectrum! It doesn't ultimately matter, but it does help give me insight and perspective into the way someone else will read and react to a book. Everyone knows that each reader will bring their own background, experience, expectations, and knowledge with them into a book For example, I can sometimes be more critical of books set in the South because I've lived here all my life. But in addition to all those other things you bring with you into a book - you also take the way you respond to what you read. A more emotional reader can read and react totally differently from someone who is more of an analytical reader. Neither one is the right or wrong way to read - they're just different. I find it fascinating that people can react so differently to a book! I actually enjoy reading critical reviews of books that I loved. For the most part, it doesn't pain me to hear that someone disliked a book that I loved. It makes me think harder about what I read, gives me insight into how someone else read it, and leaves me wanting to have long discussions about the book. Not arguing, mind you, and not convincing someone to see it my way. I just love the experience of hearing a new perspective, and I think that's closely related to the fact that I'm not that emotional of a reader. Now, I don't want to read something that is rude and mean, but there is a lot that can be said for a well-written, thoughtful critical review. And I think that I love reading those types of reviews because I'm almost never so emotionally attached to a book that I can't bear to hear it criticized. Y'all, I love Pride and Prejudice (and Jane Austen) like you don't even know (or maybe you do), but I will be totally fine and won't secretly judge you if you absolutely hated it. I'd actually be curious about why someone didn't. I was talking to a co-worker who loves to read about this post, and she felt she was more of an emotional reader. In the conversation, she brought up an excellent point. She mentioned that she disliked assigned reading in school because she hated having to analyze and interpret it. All she wanted to do was experience it! And I'm the opposite. I may not have loved every book we read in school, but I loved analyzing and doing exercises to deconstruct what we'd read. So, why am I writing this post? I think it's because I see so many discussion posts about bloggers' emotional reactions to what they've read... and I can't always relate. It's not really the norm for me. For a long time, I wasn't sure why I felt like I was different. 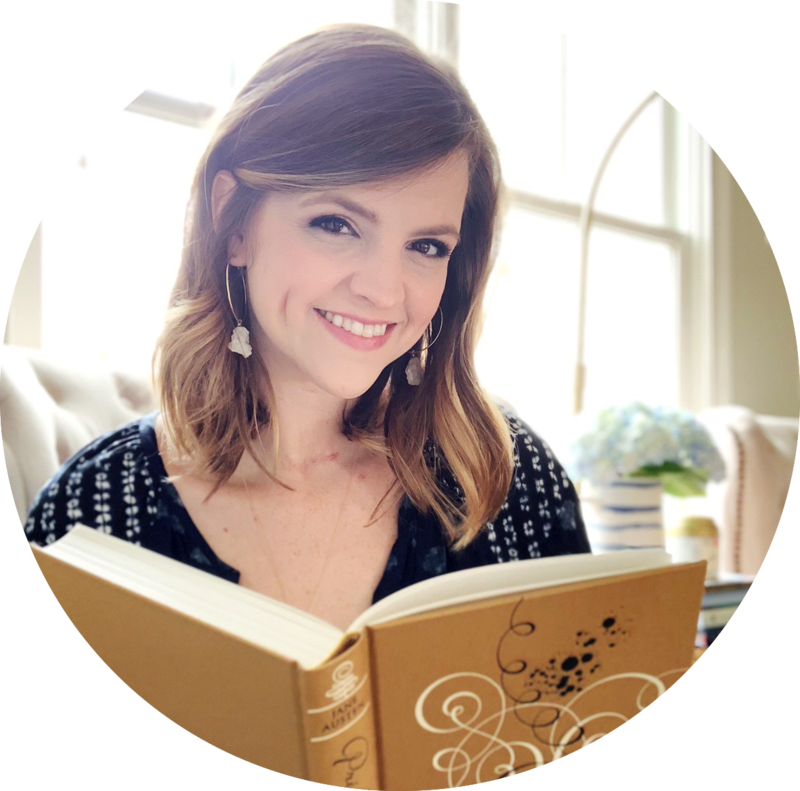 It took talking with Kelly - and thinking about reading reactions on a scale from emotion to analysis - for me to really identify one way I think I'm different from many others who blog about books. Do you think you're more of an emotional or an analytical reader? And have you ever thought about the difference before? You're always so thought provoking, Hannah. I think that personally, I fall in the middle of the scale. Like, I feel a lot of things while reading, but then when I am done hugging the book or throwing it or sobbing all over it, I want to analyze it. I want to think about how race, class, and gender and privilege factor into the book. I mean, I might not go all analytical in my reviews, but I love reading reviews that get analytical and I like thinking about those sort of factors and what I bring to the table of the book. It's kind of interesting, hearing about the different ways people read books. And okay, confession, I would totally side eye someone who absolutely hates Pride And Prejudice, I just, lots of emotions tangled up there ha ha. I'm probably more of an emotional reader but it really all depends for me on the book! Some reading experiences are veryyy emotional and I know it's 100% my feeeeels but others are more analytical. Then there's sometimes where I'd say I'm equal parts both. I am also like you in that I really do like reading critical (not meanie reviews) of books that I LOVED. So often I think my reading experience becomes even more rich through that...as hard as it is sometimes to read those. I know there are certain things that I have a hard time identifying or seeing when I read so those reviews help me! I think that's why I am so strict about NOT reading reviews before I post my own because sometimes I won't see something in a book but someone else will point it out and I'm like OH MY GOSH YES I AGREE...but I didn't see it myself. If I DO see some stuff like that I might be like, "many have said x and, while I didn't see it with my reading, I SOOO agree it was there." I want to write so much about this but ALL I can think about is how I finished Burial Rites by Hannah Kent yesterday and everything I was experiencing and that I only allowed myself to talk to you just a few times toward the ending because I had so much to say that I was afraid I would overwhelm you. While I was reading that one, I only allowed myself to read about 30-40 pages at a time so that I could experience EVERYTHING and really sit in it and soak it in, specifically for the purpose of remembering it and being able to recall it so I could discuss it with other readers. And yes, I did feel so much emotion at the end that I was tearful for several reasons and I am still experiencing that this morning. So ironic and quite funny that this post is up today after the book that I finished yesterday. I have more thoughts on this, but they aren't organized enough to put them up at this time. GREAT discussion topic, Hannah. Love it. Nope, I am definitely with you! I am absolutely more of an analytical reader. I can only remember a very small number of books that made me cry (though since I had my son, sometimes I find myself welling up a bit more when meanness to kids is involved, I will admit). I have never thrown a book or screamed or been THAT invested. I enjoy reading so much, but I always remember I'm doing it. I wonder if part of it is my background (English major, so I always had to analyze what I was reading and attorney, so I always have to analyze, well, everything). I also think it's just my personality. I also don't cry at movies. When something is wrong with my friends or family, I tend to sit more on the "let's fix this" needing to take action side of things rather than "let's be sad together about this." Both are totally valid, but I've never personally been realy good at sitting still with strong emotions. Thanks for this post! I really enjoyed it! I'm hands down an emotional reader even though I know it's not real. I am definitely a more analytical reader. I rarely cry over books as well and can probably count on one (two tops!) hand how many have actually brought me to tears. That said, I think there are times where I'm less analytical but still never really 'lose myself' in a book. It's gotta be a damn good book for that to happen. And those are rare for me. I LOVE this post! I'm definitely an emotional reader. Very far to the left of that scale up there. I will cry at the drop of a pin in a book. I actually wish I could distance myself a little from books. Because it's really more than just tears coming out out of my eyes. It's me emotions. They'll be all over the place, and even when I'm done with a book, the emotional bits will stick with me sometimes for weeks. And it can put me in a funk, I guess. I will actually get a bit depressed. Which is why I seldon read tearjerkers, and when I do I have to be completely in the mood and completely prepared. I'll even try to find away to read a book that helps me keep a little distance. For example, I often listen to books that I think will mess with my emotions. The audiobook helps me keep a little distance, plus all the stopping and going helps me out, too. And I was never a fan of analyzing books, either. In fact, as much as I love reading, and I'm a librarian now, I didn't take one single English college class. I just want to read the books. For me, it depends. If the book is really good, I tend to be emotionally involved in it. But that only happens with maybe 1 out of every 5 books, if I'm lucky. I too like to read critical reviews on books I loved. I LOVE this post. I'm a total emotional reader. I cry easily in books. This is very interesting to me. I really have no idea where I fall, but I kind of think that it may depend on the book. There are certain books that I develop emotional attachments to really quickly, and it can be really strong. Then there are the books where that never happens to me. Plus, I really love analyzing books, but I guess has been drilled into me as an English major more than it was before college. I really do think that my college English classes have made me more analytical than I was in the past, so I think I'd fall more towards the analytical side of the scale now. There are still certain books thought that manage to send me to the emotional side of the scale though. I majored in English in college, so most of the books I read tended to be analyzed critically and judged on their level of artistry. That's also how I rated books on Goodreads at that time - were they brilliant pieces of literature? It didn't matter as much if I was bored and emotionally invested. Now I'm reading only what I want to read and review, and I've found so much freedom in it. I am much more of an emotional reader, and I've let that affect how I rate/feel about books. I have to feel attached to the stories and the characters to truly love them. I like reading reviews that are both analytical and emotional. I think that helps me have a more well-rounded view of the book and how people think/feel about it. Great post!!! The more I read, the more I think I'm an emotional reader. I actually enjoy being able to get lost in a book and not analyze it. Why? I was always a great student but the required reading in high school picked the books apart. I got so tired of looking for symbolism that I wasn't even convinced the author put in the books haha! Anyway, long rant short, I think that experience really shut me down for a while and I didn't really WANT to read because of the way I had been forced to read in high school. When I got back into it, I picked up books like Twilight and adult cozy mysteries and contemporary fiction, all the while doing re-reads of Harry Potter. I chose lighter reads, books I could get lost in, books I could relate to -- and I dropped analyzing books all together. 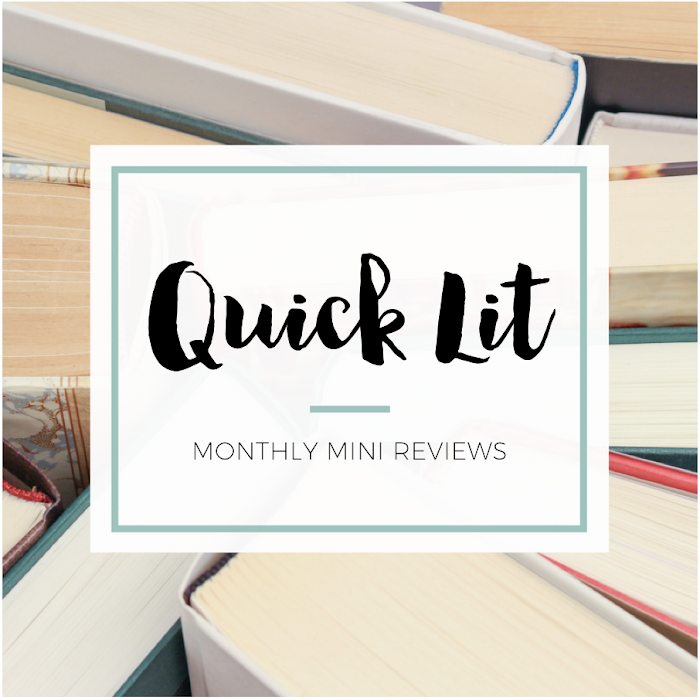 The first time I really started to analyze books again was after I became a book blogger and started to really look at things like plot arcs, character development, and world building. I do enjoy analyzing these things when it comes time to review but usually while I'm reading, I mostly enjoy the ride (unless something really rubs me the wrong way or the opposite, I end up noticing something GREAT). Oh my gosh it's like I wrote this post!! Seriously. I'm really glad that you said all of this stuff, because I can totally relate to where you're coming from and now I feel kind of relieved to know that I'm not the only one who feels this way. I hear bloggers talking all the time about book boyfriends, throwing a book, hugging a book, like you said, and I just don't really understand. I mean, I respect their emotions and believe them, but I never have reactions like that while reading. And just like you, I have a very very small number of books for which I've cried while reading. Sometimes I feel like I'm experiencing it wrong or something, but I like how you emphasize that, though there are two very different types of readers, both are equally valid, respectable, and important. This post seriously made my day :) Thank you! I never really thought about it this way, but you made some really excellent points! I think I am somewhere in the middle. Quite a few books have made my cry, but it takes some really powerful writing to reach me in that way and pull out that kind of a reaction. I do get invested and attached to characters which is probably why I sometimes get emotional, but I never have those other reactions like wanting to throw a book across the room or feeling sick about what is happening. Bad endings do sometimes ruin a book for me as a whole though because I find it hard to detach and think objectively about the book in pieces. I usually like to experience a book, and then to think about it and analyze it afterwards. I don't analyze too much as I go, but I often like to take a day or so break between books so I can really absorb it and will find myself thinking about the overall message/moral/themes, etc. as I go about my day. This post is really interesting and has had me thinking for days. For me? I'm on the FAR end of an emotional reader. I don't get overly critical about what I'm reading--unless the writing doesn't let me sink in because of inconsistency (usually poor characters is what bothers me most) or I've read the book multiple times and am able to distance myself a bit. I find that for the most part I prefer to read reviews by people who are more critical. There are some bloggers out there whom I love their spazzy fangirl posts because once you read a few, you really get a sense for what kind of books they like and don't like, but when wanting to know solid information? I prefer reading reviews by people who are able to distance themselves a bit. PS - As far as crying goes? Oh heck yea I do that. Sweetheart I sobbed when I ate my french fries at a baseball game because I was so happy (yes, you are allowed to judge), so you BETTER BELIEVE I cried at the Battle of Hogwarts. That's just me though. I'm a very off the charts person when it comes to my emotions. I think I'm pretty neutral but tend towards the emotional when reading because I like to lose myself in books. But then when I talk about a book, I go into analytical mode. I'll deconstruct what I liked and what I didn't like. I'll mostly push aside all these emotions I had, almost like they're private. I'll admit if I cried but somehow, when I'm done with a book, I leave the bulk of my emotions behind within all those pages I read. If I read the description of the two sides, I'm definitely an emotional reader. I'm easily swept away in books - so much I completely forget the whole world around me. I can become very invested in characters and worlds. But, I hardly cry and I'm not easily touched by sad stories. The books that made me are special and can be counted on one hand. I can also be analytically, especially when I'm trying to review the book. I try to base it more on my thoughts than on my feelings alone, so perhaps I'm a bit in the middle with a little extra to the emotional side. Can I just (rationally and analytically) express my love for this post? This will help me verbalize so many of the random thoughts I've had on this book blogging journey. Yes. I am a critical/analytical reader. I do cry occasionally in books, but that's probably because I'm also critical and analytical in life and those feels have to come out somewhere -- books are just a safe release, because it's someone else's imagined sadness and not my own. I'm most likely to cry at books based on real events (Holocaust books) or books where I have a heavy time investment (Harry Potter). I get a lot of comments on my blog about The Fault in Our Stars and why I didn't included it on this or that list. That's because the emotional impact just wasn't there for me like it was for others, and I had my critical eye on other aspects of the book. Anyways, this post of your has made me an instant fan of your blog and I am now going to follow your analytical reviews. You also may have inspired me to write a similar post on the subject, with due credit, of course! After thinking about this for a few days, I'd like to say that I'm certainly an emotional reader, almost always. HOWEVER, I do like to make notes on things - even emotions I'm feeling while I read, but not always emotions - so I think that places me somewhere on the spectrum between emotional and analytical. But I would never CALL myself an analytical reader because I think that doesn't sound very fun TO ME. But occasionally something analytical or some type of critical thinking will jump out at me and I think that's okay. Overall, though, EMOTIONAL ALL THE WAY. I think that as a person that reads to escape and enjoy, emotion just kind of goes along with that territory. GREAT GREAT discussion post that had me thinking for a few days, Hannah. I confess to being an emotional reader, but I believe that analytical readers write better reviews. Well..I saw that but should say that I prefer to read reviews written by analytical readers. Great post! This has some thoughts that are keeping me thinking! I like this question a lot. I also feel like it ties into the conclusions I drew after my honesty post last month. I'm going to say something weird and say that I am an emotional reader (I laugh, I cry, I get angsty if I'm reading an angsty book), but I'm an analytical reviewer. I could sit down and write my gut emotional reaction to a book, but, honestly, I'd probably sound nuts. Emotions certainly make their way into my reviews, but I always try to step back and look at a book critically and disengage from my own biases or preconceived notions. There have been a couple of books I've read recently that had really emotional endings and I finished with this swell of emotions (pride, sadness, happiness) for the characters, but ultimately I didn't think the books were *great* books overall and my review reflected a more mediocre perspective. To me that's kind of where my emotional reader but analytical reviewer classification comes in. I think I fall right on the middle of this scale. My ideal book is one that gives me a lot to think about and is really well written and crafted, but also made me feel a lot. Those are the books I ultimately count as my favorites. That said, I think the more I read, the harder it is to find both of these in a story. It makes it all the more exciting when I find something I LOVE. Um, okay, round 2 of this comment. I love love LOVE this post and not only because you talk about moi but because everything you say is so TRUE! I am most definitely an emotional reader. It is what gets me engaged but I also LOVE looking for themes and meanings and messages each book offers. I love a book with a fantastic underlying theme or "teaching" if you will or books that take social issues and presents them in a way younger audiences can understand. However, while I am totally and 100% emotionally engaged while reading, when the book ends so does the story. There are books that stick with me and I will still be thinking about days later but not in the context that I believe the characters or story is real life. I am not the author, this is not my story or my world, these are not my characters of creation. I don't believe the author owes me anything in regards to a story or how it may end or what happens in it. People that get too emotionally invested is not healthy. I love reading as much as the next person but at the end of the day...It's a book. It's fiction. It's fantasy It's escapism. I'm not about to lose my emotional stability over something that isn't real. So i'm halfway between emotional and analytical, I'd say. Is it weird to say that I'm somewhere in between these two? There are certain books that can definitely get me to feel really emotional (the most recent being Open Road Summer), both in the good giddy happy I-want-to-hug-the-book way and in the why-would-you-do-this-to-me, tears way. But sometimes, I'm also a bit more detached and just enjoy the story, plain and simple. I am starting all my comments today with how much I love your posts BUT I DO! This one, especially, stuck with me. I read it a while back and I still can't stop thinking about it. In fact, the other day I wrote a novel in my notebook about how I am more of an emotional reader (tears included). I am DEFINITELY an emotional reader, though I never used to be. I think in the last couple of years I started reading and FEELING everything that I read. I laugh and cry and physically hurt when things go wrong. For example, I read Malorie Blackman's Noughts & Crosses a few weeks ago and I spent a couple of days unable to read anything else because I was just so depressed because of that book (in a good way?). However, when a book is unable to capture me, I am definitely more of an analytical reader. If I don't get caught up in the story and if I don't connect to the writing/characters/plot etc., I am very critical of what I read. It's really interesting to think about this. Love it!